Somaca issued the following announcement on April 5. Renault's interest and involvement in China has been longstanding. From the 1930s, chassis are exported and bodied. But it is really from the mid-90s that Renault seeks to establish itself durably. A look back at the major stages of Renault's history in the Middle Kingdom. The story between Renault and China begins. in France, since Deng Xiao Ping, future general secretary of the Chinese Communist Party from 1956 to 1967 and head of state from 1978 to 1992, becomes a worker in the workshop of adjustment of Renault in Boulogne Billancourt from November 6 to December 12, 1925. 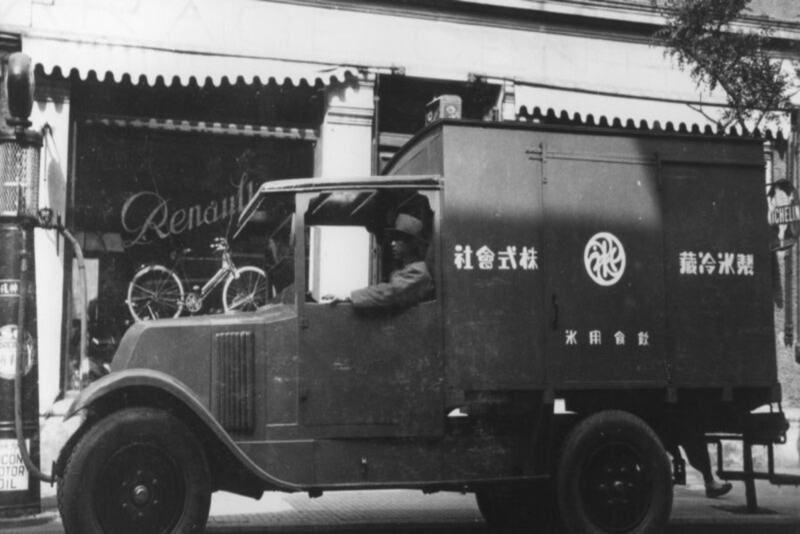 In the 30s, Renault chassis (type OS 10 horses) are exported and coached in the Middle Kingdom. But it is really from the mid-90s that Renault seeks to develop a real business in China. First by manufacturing high-end minibuses between 1995 and 2003, then by importing vehicles from 1999. Today, it is through three joint ventures that Renault is permanently established. In November 1993, Renault entered the Chinese market with the signing of an industrial partnership with China Sanjiang Space Group for the assembly and production of Trafic Minibus, through the creation of a Sanjiang Renault joint venture. Automotive Company (SRAC) in Xiaogan (Hubei Province, 80 km from Wuhan). At the time, the government decided that the country needed minibuses and that Renault's partner would be Sanjiang. The goal for the joint venture is to offer high-end Minibus Traffic, which can be used for VIP trips for public authorities, hotels, etc. The reality is different when the automobile market is driven by the demand of private companies and individuals and not only by public demand. The proposed product no longer meets most of customer demand and Renault decides not to revise the product plan of the SRAC. In 2003, the joint venture is put to sleep and the industrial facilities are "mothballed", that is to say stopped but maintained. In eight years, Renault produced 6,018 high-end minibus traffic at the Xiaogan plant. 1999 : a joint venture project with Beijing Automotive Industry Corporation (BAIC), involving Scénic. 2002 : a joint venture project with Brilliance, involving Kangoo. 2004 : Renault signs a Memorandum of Understanding (MOU) with Dongfeng Automotive Investment Corporation to create a joint venture for the manufacture and sale of passenger cars and commercial vehicles. Without agreement on the location of the manufacturing site, the joint venture project is put to sleep. In 1999, Renault began importing private vehicles and developing a commercial network. Renault is thus the first French manufacturer to import vehicles into China (PSA already manufactures locally but does not import vehicles). Renault went from 123 vehicles sold in 1999 to 3,364 in 2006, selling in particular Scénic, Mégane Classic and Laguna. In 2006, Renault's market share reached 2.6% of the imported vehicle market (the CBU market represents 126,000 vehicles, the global market, 4.2 million units). 5 importers and their 30 dealers provide the activity (2007 figures). In a difficult context of unfavorable exchange rate, aging range, increased local competition and price war, Renault sees its sales decline. January 16, 2007 : in order to sustain the activity and strengthen the structure, it was decided to create a wholly-owned Renault subsidiary. This is only created in 2010. October 2007 : beginning of the steps for the homologation of Koleos. These decisions enable Renault to rebound. The subsidiary now imports and distributes Renault vehicles. The 5 importers then become dealers. a new "Casual Luxury" positioning of the brand. a customer-oriented program: TOE (Total Ownership Experience). a reorganization of the network according to R-REDI standards (Renault Retail Environment Design Initiative). the establishment of a new distribution system. After the mothballing of the 2004 joint venture project, starting in June 2011: new negotiations between Renault and Dongfeng. March 2012 : signature of a MOU (Memorandum Of Understanding) between Renault and Dongfeng. December 16, 2013 : signing of the agreement formalizing the creation of the Dongfeng Renault Automotive Company (DRAC) joint venture and the construction of a plant in Wuhan. July 1, 2014 : The DRAC joint venture (Dongfeng Renault Automotive Company) takes over the management of RBAC (Renault Beijing Automotive Co.), the 100% Renault subsidiary. August 2017 : a second joint venture is born: eGT New Energy Automotive Co., Ltd. It aims to accelerate technology developments in favor of zero emission mobility, a priority for Dongfeng Motor Group Co., Ltd. as for Renault-Nissan-Mitsubishi. The joint venture leverages the key competencies of each partner to produce competitive electric vehicles. December 2017 : Groupe Renault and Brilliance form a third joint venture: Renault-Brilliance-Jinbei Automotive Company. It manufactures and markets LCVs under the Jinbei, Renault and Huasong brands. With 28.1 million vehicles sold in 2018, China is the largest automotive market in the world. That same year, Groupe Renault sold 216,699 vehicles, an increase of 200.3% compared to 2017 (72,137 sales). China is now Renault Group's fourth largest market and one of the main pillars of the Drive the Future strategic plan , with its strong development potential. Want to get notified whenever we write about Somaca ? Next time we write about Somaca, we'll email you a link to the story. You may edit your settings or unsubscribe at any time.